The More You Know About Your Fish...the better equipped you will be to care for them. 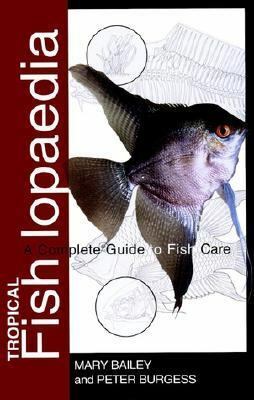 Tropical Fishlopaedia gives advice and guidance on all aspects of fishkeeping, including choosing and buying compatible species; fish body language; nutrition; breeding; lighting, water, and decor; aquarium maintenance; identifying and treating disease; and much much more. The easy-to-use ‘What If…? section answers all your questions and concerns, giving in-depth information on a whole range of problems, such as: What if my fish swims at an odd angle? What if my fish has jumped out of the tank? What if my fish has spots? What if my fish hides? What if my fish won't eat? What if my fish clamps its fins? Whatever your question, Tropical Fishlopaedia has the answer.Bailey, Mary is the author of 'Tropical Fishlopaedia A Complete Guide to Fish Care', published 2000 under ISBN 9781582451664 and ISBN 1582451664.